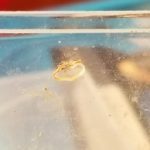 So, one of the symptoms of being infected with roundworms is worms coming out of the nose. As we mentioned, we cannot diagnose our reader or provide medical advice other than encouraging her to see a doctor! 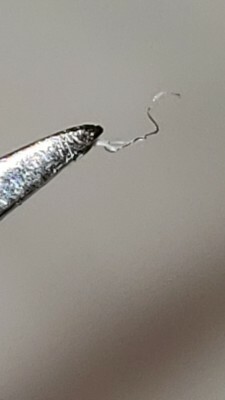 We can, however, provide some information on roundworms. Though rare in the United States, roundworm is a common parasitic infection worldwide caused by Ascaris lumbricoides. Roundworm eggs live in soil that is contaminated with feces. If someone touches infected soil and then touches their mouth, they can become infected. Roundworms can then live inside the body in the small intestine for up to 2 years. 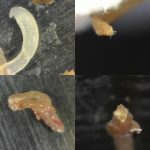 These worms reproduce very quickly, and females might lay more than 200,000 eggs per day, which then pass through bowel movements and have the potential to infect other people. 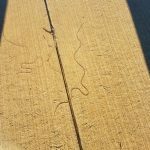 Children are more likely to contract a roundworm infection because they are more likely to be playing outside and touching their mouths without washing their hands. 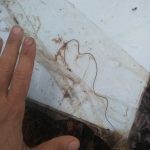 Roundworm infection is more common in places where people live in poverty, there isn’t proper disposal of human feces, and where crops are fertilized with human feces. According to the Center for Disease Control and Prevention, treatment includes taking medication for 1-3 days that rids the body of parasites. The most effective way to prevent roundworm infection is to wash your hands thoroughly and often! To wrap up, one of our readers reached out about a worm coming out of her nose. 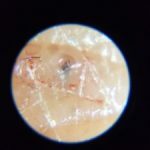 We aren’t able to diagnose medical issues, but we have given a brief overview of roundworms, which are parasitic worms that can emerge from their host’s nose. We encourage our reader to visit a doctor ASAP! 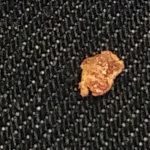 One of our readers reached out about a worm coming out of her nose. 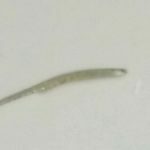 We aren't able to diagnose medical issues, but we have given a brief overview of roundworms, which are parasitic worms that can emerge from their host's nose. We encourage our reader to visit a doctor ASAP!